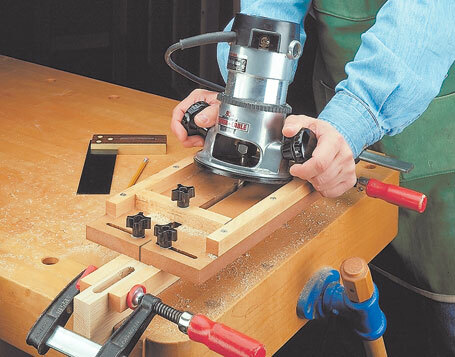 Download our router table and hand-held router jig plans and get started building with our step-by-step instruction today. 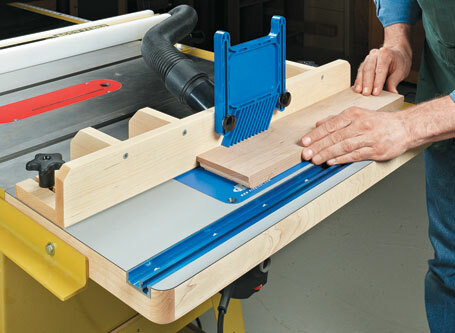 A router is an essential tool for any woodworking shop, and a router table or jig can make it a safer and more efficient tool. 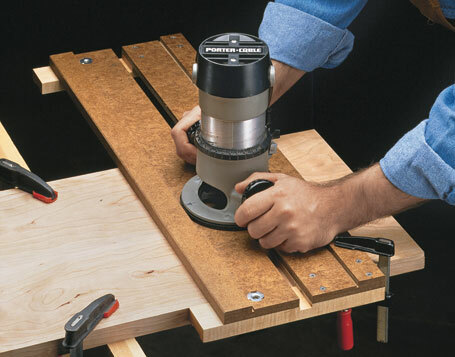 Router tables are available in many configurations, from simple benchtop tables to complete, stand-alone workstations that include storage and dust collection systems. 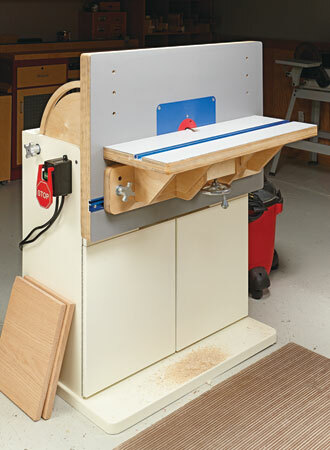 A router is an essential tool for any woodworking shop, and a router table can make it a safer and more efficient tool. 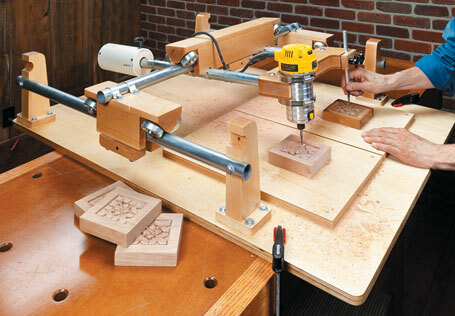 A handheld router is an incredibly adaptive tool. 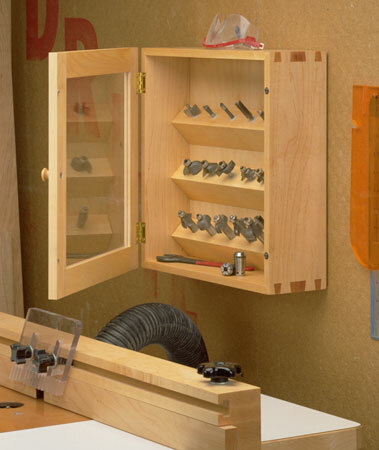 Increase that versatility by building this trio of accessories to get even more out of yours. Don't be fooled by its small size. 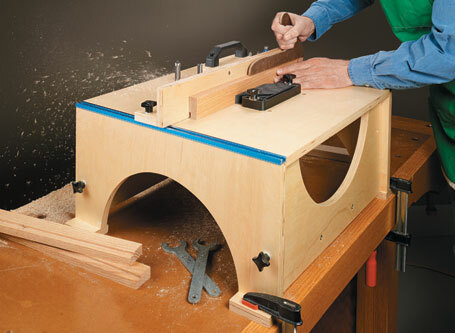 This portable router table packs in a lot of big-time features. 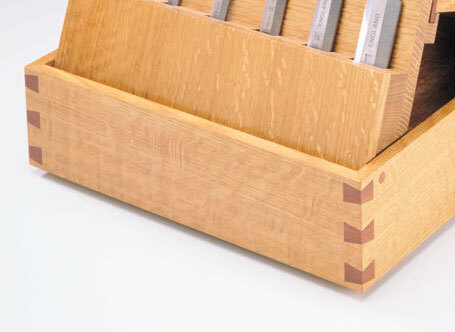 Small wood "keys" create the traditional look of a dovetail joint -- without all the work. 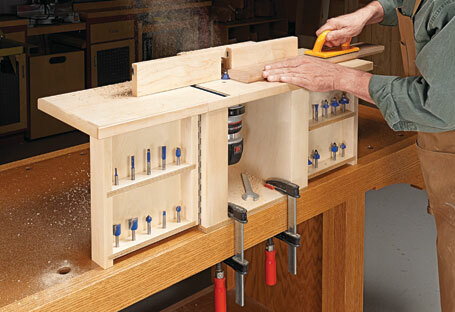 Plus, they add strength to the mitered corners of a box. 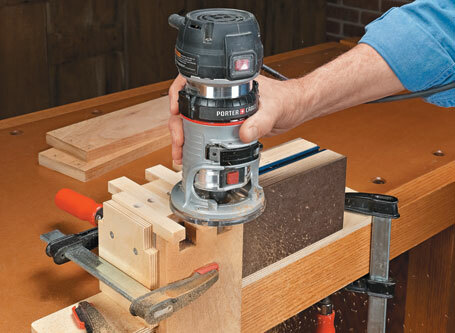 Maximize the benefits of this essential tool without sacrificing valuable floor space in your shop. 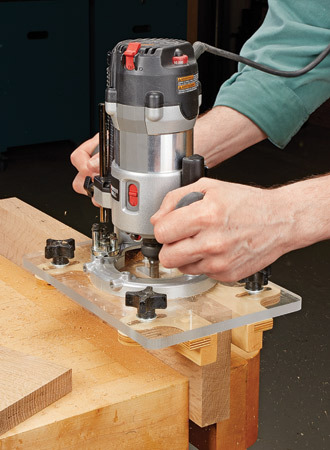 The flexibility of this unique jig makes it easy to add eye-catching elements to your next project. 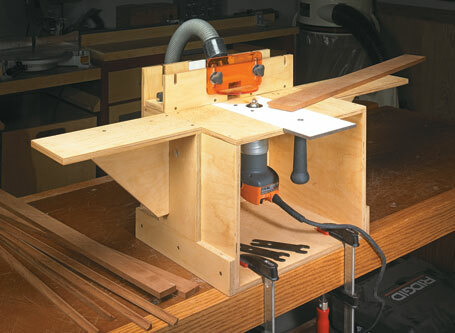 This briefcase-sized package transforms into a full-featured benchtop router table in minutes, and folds up for storage just as quick.